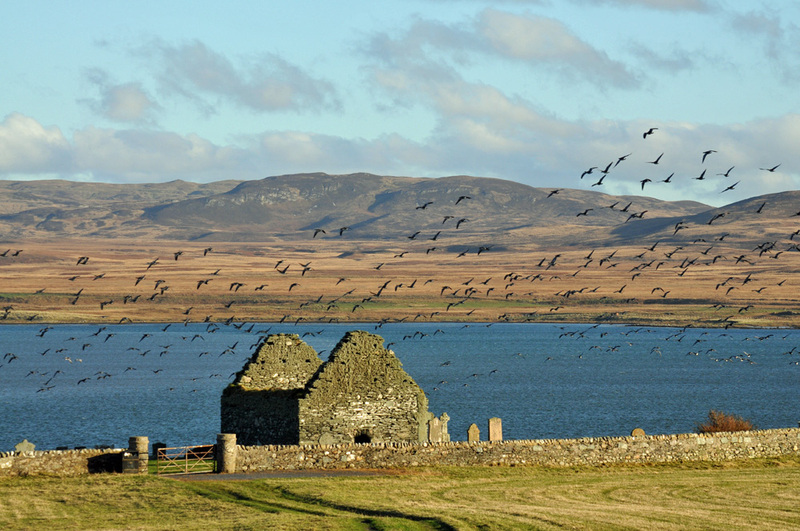 A picture from a visit in November 2012, some of the thousands of Barnacle Geese wintering on Islay in flight over the ruin of Kilnave Chapel. Loch Gruinart in the background. The Kilnave Cross is “hiding” on the right corner of the chapel. This entry was posted in Landscape, New Post, Sea Loch, Sunny Weather, Wildlife and tagged Barnacle Geese, Celtic Cross, Islay, Kilnave, Kilnave Cross, Loch Gruinart by Armin Grewe. Bookmark the permalink. Thanks Derek, the weather was mixed that week, but when the sun came out it was great. The light was very nice and soft. Like your shot as well, nicely shows both the chapel and the cross. Judging from the shadow of the cross and the light a late afternoon shot? Thanks Armin Yes 6.09pm to be precise middle of May in 2010.